Cleburne County, Arkansas. 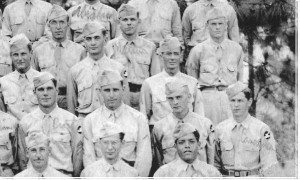 His Father was Elyah Franklin Cavender , and his Mother was Mrs Willie Etta Ussery Cavender. 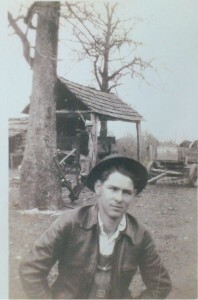 He had two sisters: Mary Gladys (Lee) and Selma Irene Cavender. 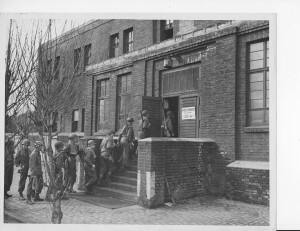 G-Company, 333rd Infantry Regiment, 84th Division in G Company. Franklin was married with Mary Leonore-Cavender just before he went to Europe. Mary became pregnant and together they had a daughter called: Mary L. Cavender. 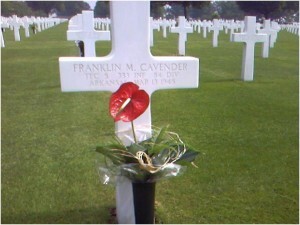 Franklin M. Cavender is buried at the Netherlands American Cemetery in Margraten, Netherlands. 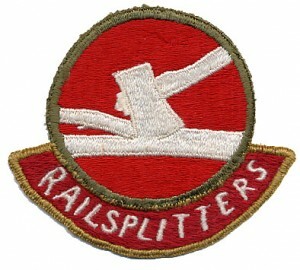 At plot: C, Row: 2, Grave: 13. And is adopted by the Linssen Family. 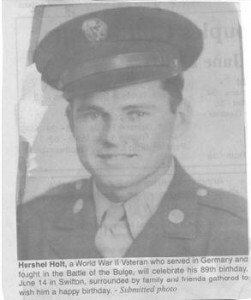 Thanks to the adoption family and also for ww2 veteran Hershell holt for all the information. Our guestbook is open for your comments!